Charge 2 devices simultaneously with this 10000mAH power bank with special security features and power indicators. 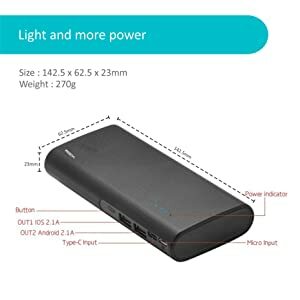 Conversion ratio of the powerbank is around 70% and charging efficiency is 80% Note: Use only 2A cable provided for best results. The ITP105 model offers micro input along with Type-C input. This attractive power bank weighs just 270 grams. ITP105 is equipped with a new generation lithium battery that takes care of both style and safety. 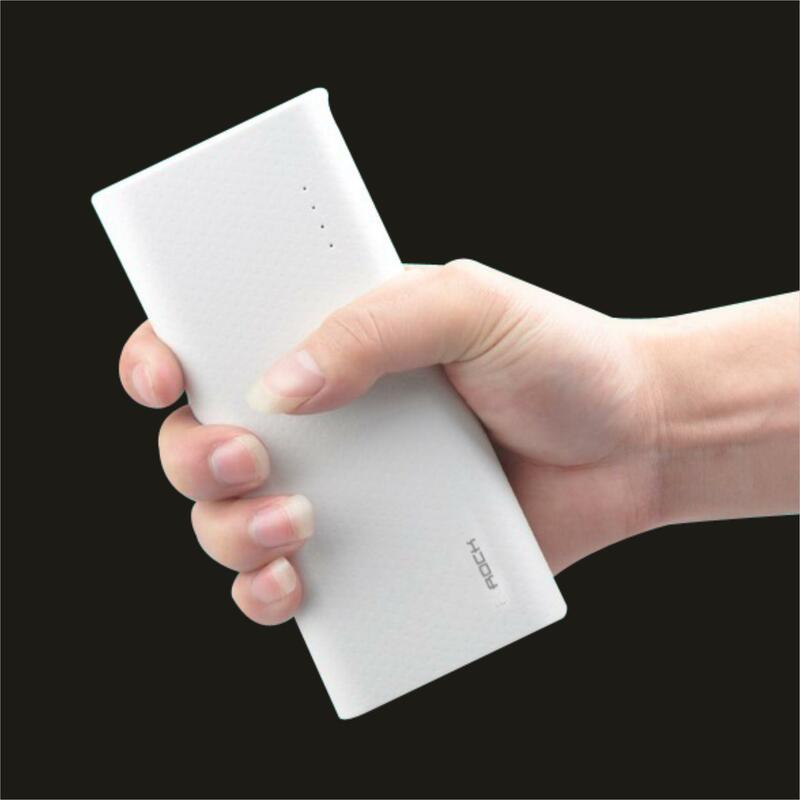 The power bank comes in a textured finish. 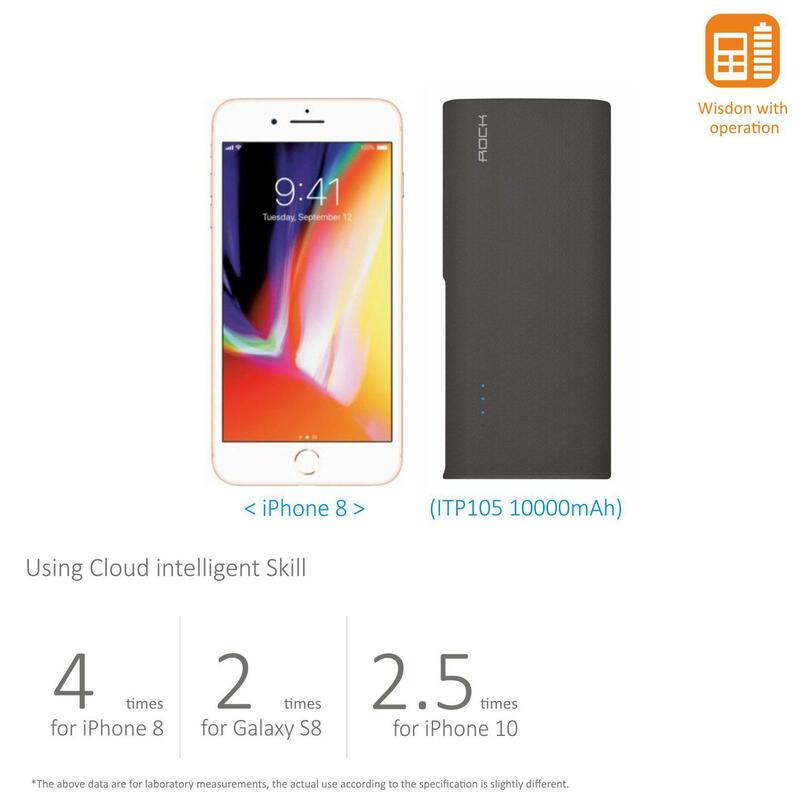 ROCK ITP105 10,000mAh power bank is your bet to stay connected in a digitized world. Loaded with power-packed features, it is no less than an intelligent buddy that helps your smart devices last through a busy and long day. 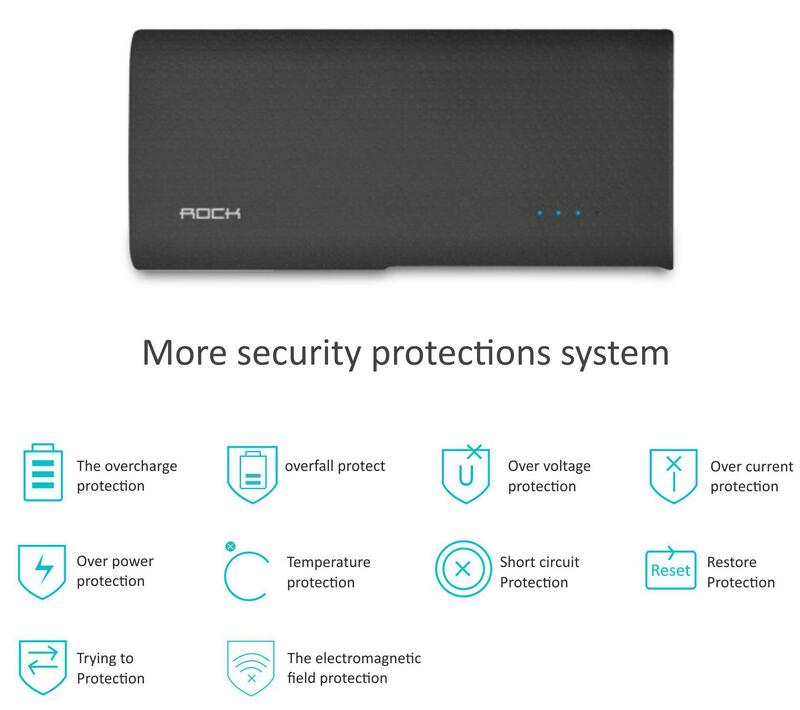 ROCK ITP105 power bank is driven by a 10,000mAh lithium-ion battery. These next generation batteries are not only stylish and safe but is also equipped to charge devices quickly and efficiently. Once fully charged, the power bank is the one-stop shop for all your charging requirements throughout the day. 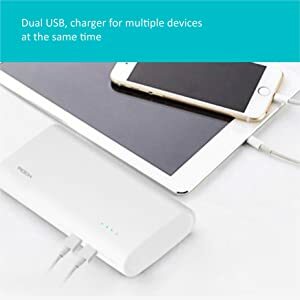 More than One Device to Charge? 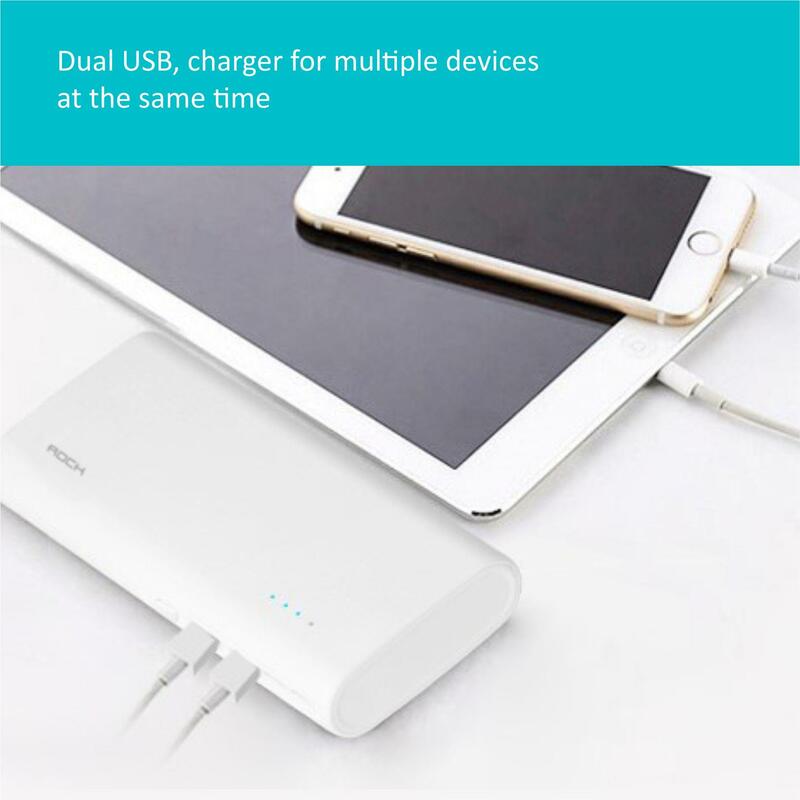 The dual USB output enables charging of two devices simultaneously. Powered by next generation lithium batteries, the power bank not only offers safety but also quick charging. Simple yet elegant, ROCK ITP105 is stylish. It is made of fireproof ABS that is heat-resistant. The ergonomic design enables the product to fit comfortably in your hands and gives it an anti-slip grip. The last thing you want is to have your device fried due to a misfiring cell. 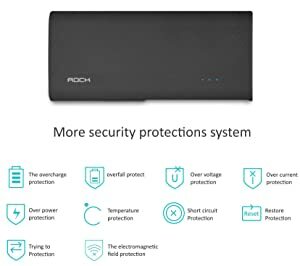 ROCK ITP105 power bank comes with in-built overcharge and over power protection that keeps your devices safe and protected from any current or voltage surges. ROCK ITP105 power bank is compatible with all leading smart devices.